What is a Twitter chat and what does it do? 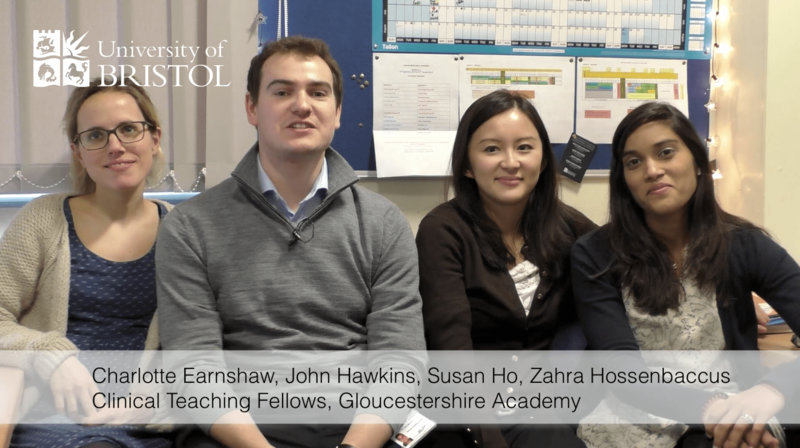 The Health Sciences TEL team and Dr Susan Ho, Clinical Teaching Fellow at Gloucestershire Academy, have developed a virtual induction tour of the Academy and hospital for LITHE and Junior Medicine and Surgery students. Using the Aurasma augmented reality app, students scan a poster image at the Academy to access a welcome video from Phil Davies, the Academy Dean. The video includes directions to the next location for the students. Overall, the induction will take them on a tour of 10 different locations across the site. The tour was piloted on a group of year 3 Junior Medicine and Surgery students and initial feedback was positive – they liked the interactivity of the induction and found it more useful than a guided tour as they had to find their own way around the hospital and Academy. The project was inspired by the Dental School open day welcome videos and will be used with our LITHE students in May/June.